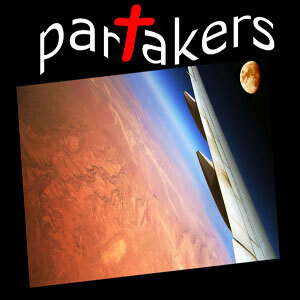 G'day and welcome to Partakers Friday Prayers on the 30th of September, 2011. 4. Prayers for individuals: Pam, Kerry, Claire, Denise, Peter, Christine, Nicole, Melinda, Bob, Jane, Joy, Ruth, Darren, Doug and Sarah. 11:1 In Yahweh, I take refuge. 11:2 For, behold, the wicked bend their bows. 11:4 Yahweh is in his holy temple. Yahweh is on his throne in heaven. His eyes examine the children of men. but the wicked and him who loves violence his soul hates. fire, sulfur, and scorching wind shall be the portion of their cup. 11:7 For Yahweh is righteous. G'day and welcome to Partakers Friday Prayers on the 23rd of September, 2011. Let's have a time for you to offer your own praises to God! If for some reason words are failing you, simple say "Lord God, I lift up thanks and praise to you alone." We are told that it's a great thing to praise our God! So let's now have a Psalm of praise! We have Psalm 100, read to us today by Jenny! Father, we now lifts this troubled world to you! From your wellspring of mercy hear these petitions!! May justice and peace come to places where injustice, strife and conflict currently dominate! Where there is chaos, bring order. Where there is hatred, may love be sown. We pray that in areas of need following natural disasters, that aid will get through and infrastructure rebuilt. Father, be the strength for all those who are grieving and mourning the loss of loved ones. Father, we pray that those in despair will be helped and where there is darkness there will be light. O Lord God, give strength to the week. We lift before you, O merciful Father, all those facing challenging situations: such as loneliness, confinement at home, geographical isolation, lack of employment, health issues, and financial pressures. O Father, please meet their needs in what ever challenging situation is being faced, and we put ourselves in your hands to help meet those needs where we can. G'day! 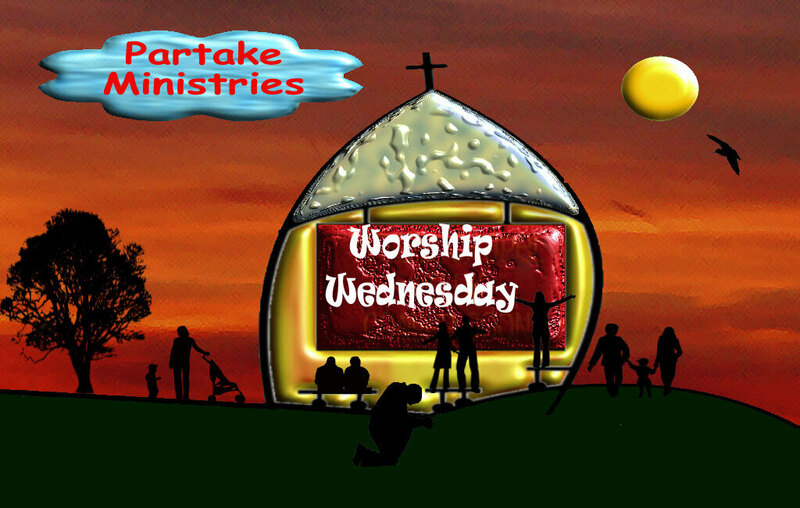 Welcome to Partakers Wednesday Worship on the 21st of September 2011. Jesus spent complete nights in prayer seeking strength and wisdom from His Father in Heaven. We dare not go into battle with the enemy in our strength alone. The hymn writer wrote "Put on the gospel armour, each piece put on with prayer." 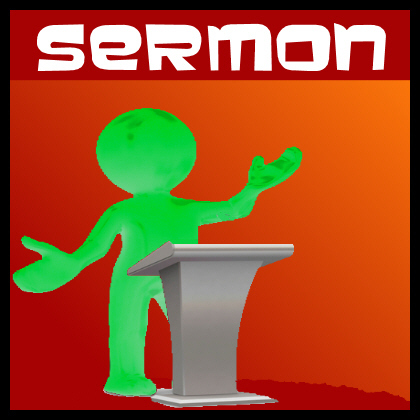 How do we put the gospel armour on? The armour we need is supplied by our Lord. It is described for us by the apostle Paul in Ephesians 6:10-18: "Be strong in the Lord and the power of His might that you may stand in the evil day" He then goes on to say "Take unto yourself the whole armour of God. "Leave no unguarded place" are the hymn writer's words. Very apt as we can be so easily forgetful and neglectful. We need to be aware of our weak points where we ma be unguarded. "Give the devil no room." I find as a great help each morning to spend some time putting the gospel armour on. How? As I get dressed physically taking time to put each piece of my clothing on carefully making myself presentable before the mirror, I also take by faith my spiritual armour piece by piece coming before the mirror or God's Word the Bible, reminding myself of which piece does in order to be strong for the day's battles, whatever they may be. (a) The helmet of salvation. To protect the mind. Here is a point of entry If I do not protect it. How? By the Scriptures. "Let this mind be in you which was in Christ Jesus." I ask for the mind of Christ. (b) Breastplate of righteousness. This time I remind myself I am clothed in Christ's righteousness to gain me Heaven. This truth prevents me boasting and it keeps me humble. each moment of every day ever grateful to Jesus for His robe of righteousness. I need also to know there needs to be an outworking of that righteousness in my life through the power of The Holy Spirit. To seek to be like Jesus living to honour Him and be a light shining for Jesus. (c) The belt of truth. I believe I must be held in by God's truth the Bible in all I think say and do. Not what I think but how God says I should react in any given situation during the course of the day. Not legalistically but trusting The Holy Spirit to bring the truth to memory to protect and instruct me. (d) Feet shod with the preparation of the gospel of peace. The Roman footwear had to be strong and able to grip rough terrain. To walk steadily through the day without deviation to left or right not slipping into sinful habits but standing firm as a good soldier of Jesus Christ. (e) Sword of the Spirit and shield of faith in our hands. Having Scripture ready to hand and mind to fight off scurry attacks from satan as he tries to buffet us. Do you remember how Jesus used these weapons in the wilderness when tempted by the devil? "Has God said" He reminded the devil of the word of God. How important for us to memorise God's Word to hide it in our hearts as the psalmist wrote. Read God's Word regularly improving our knowledge day by day. The devil never lets up neither should we. (f) Putting on all prayer. 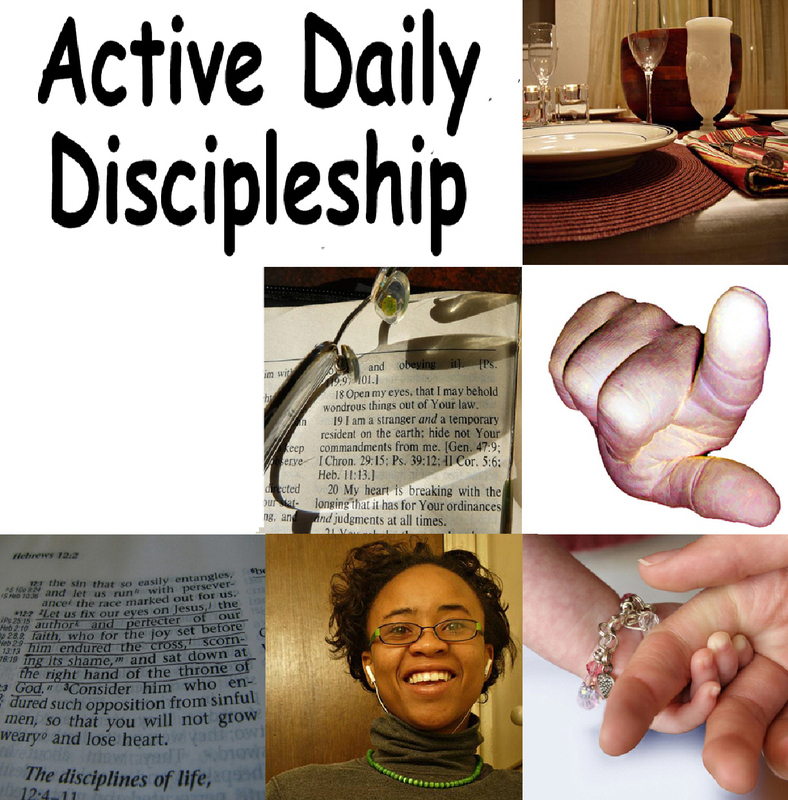 Living through the day in an atmosphere of prayer with a prayerful spirit. Ready to call upon the lord for any special needs but also ready to praise Him for any blessing that he brings our way. Talk to Him, as you walk with Him. Strengthened and satisfied by Him. We glorify Him by so doing. "Jesus is my Rock and Fortress, in Him I trust for ever. We know we have failed to put on the Christian armour and some of us have fallen dreadfully. We know it is important to acknowledge this to you. To be honest and admit our faults. We know the devil appears like a roaring lion at times, but sometimes as an angel of light and we fail to see him coming and we fall. Forgive us Lord and help us to take the advice given and to take time to be holy by spending time with you Lord and to put on the gospel armour and trust you Lord to make us aware of the enemy attacks of satan and to stand up against him in Your strength and power. David fought against Goliath and won because he knew the battle was the Lord's. He had confidence in your strength and had faith in You. Paul the apostle said "I can do all things through Christ who strengthens me." Help us to remember to pray that same prayer for our safety and Your glory, Amen. An opportunity to spare a thought and/or prayer for the grieving families, friends and loved ones of Charles Breslin, Phillip Hill, Garry Jenkins and David Powell, the 4 miners found on Friday September 16, 2011 at Gleision Colliery, near Pontardawe. 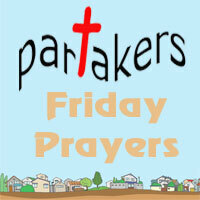 Welcome to Partakers Friday Prayers on Friday, 16th of September, 2011. We come now to praying for the needs of these individuals. Please do add others in the time of silence following this prayer. O Great God our provider, we ask for a healing touch and wisdom for the medical staff treating them. Finally, Father, we lift before you, all those facing challenging situations: such as loneliness, confinement at home, geographical isolation, lack of employment, health issues, and financial pressures. O Father, please meet their needs in what ever challenging situation is being faced, and we put ourselves in your hands to help meet those needs where we can. May the God of hope fill you with all joy and peace in believing, that you may abound in hope and faith through the power of the Holy Spirit. Amen!